Hi friends!! Welcome to another Glamping Day! 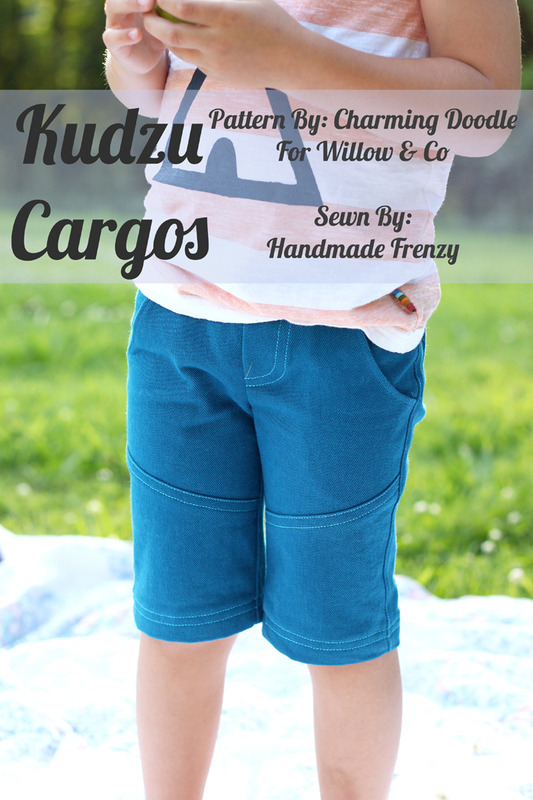 Today I'm sharing my thoughts on the Kudzu Cargos, a pattern designed by Charming Doodle for Willow & Co. 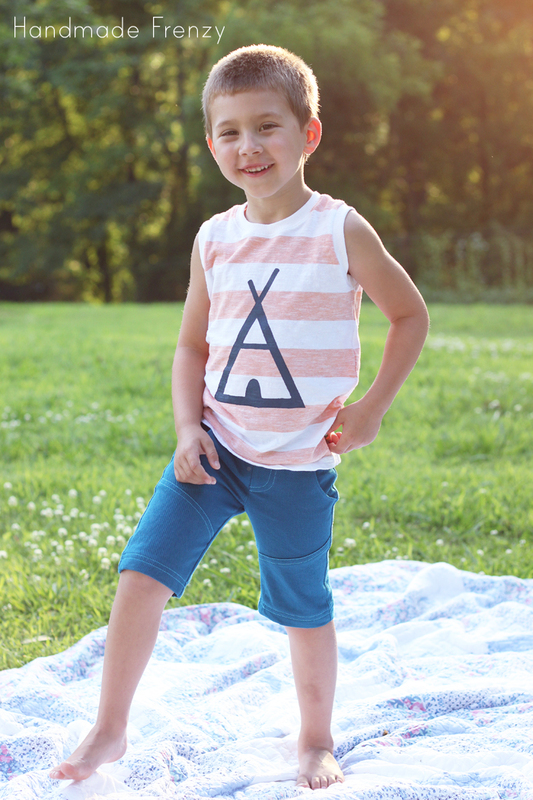 It is a unisex pattern that can be made in pants or shorts length, skinny or straight version and LOADS of colorblocking, decorative seaming, and pockets options. When I say LOADS, I mean loads! I chose to make the straight version with the diagonal seam in the front and the back pockets, also with the diagonal seam to mimic the front. This was my first time using a topstitching needle and wow, I am hooked! 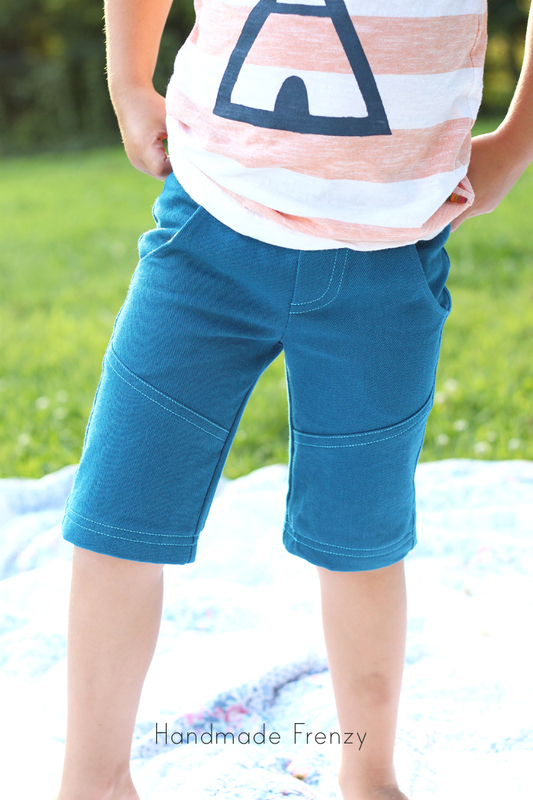 I am so thrilled with how these shorts turned out. And can we talk about comfort!? 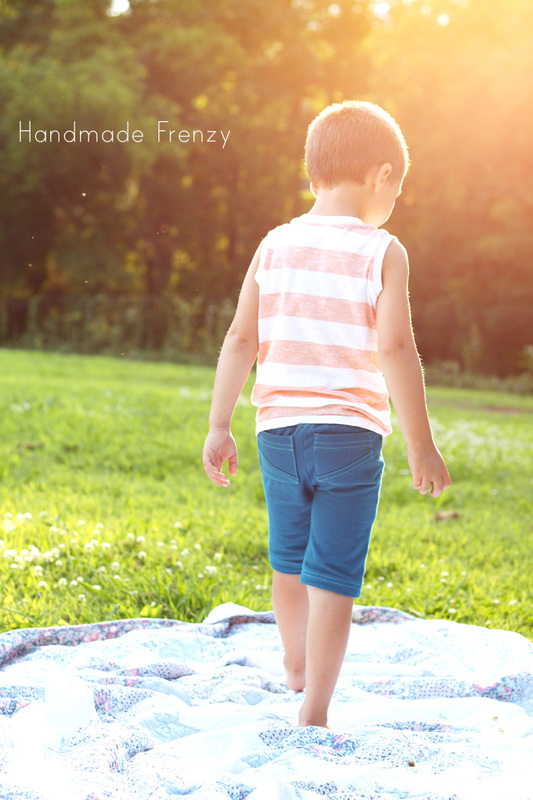 The pattern is designed with a rib knit waistband for easy pull on/off and it's soooo comfy for kids! And seriously, not only is it comfy it just looks cool. The pattern also includes instructions for adding elastic to the knit waistband if needed for a better fit. (How cool is that!?) The ribbing I used however is very thick and strong and there was no need for the elastic this time, but I love the size customization that offers. 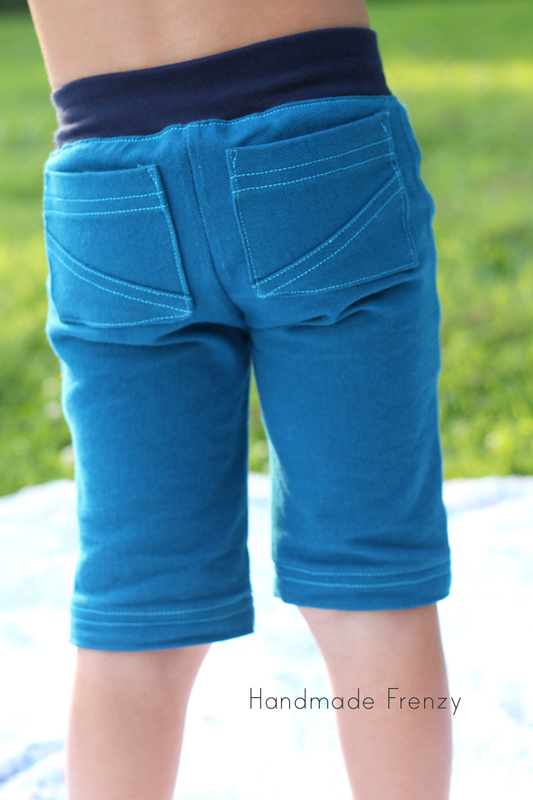 I sewed a size 4 with about an inch more length, but shortened the ribbing a bit for my skinny little man. 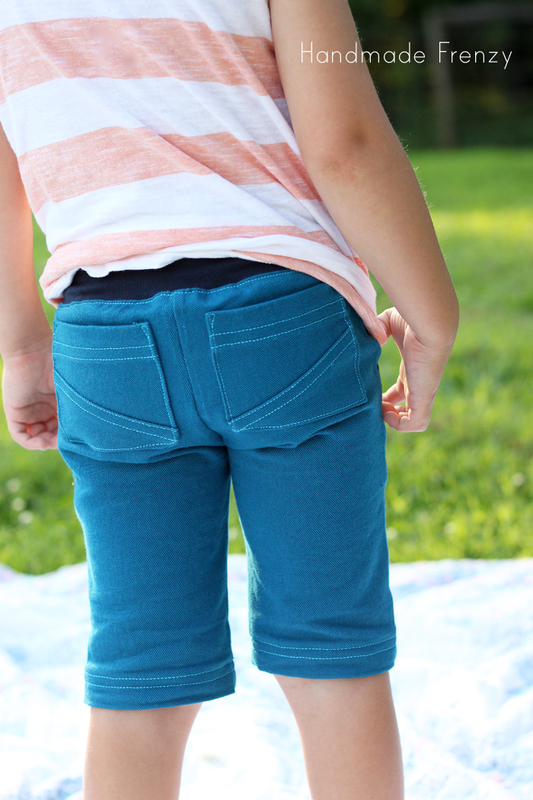 The waistband fit is PERFECTION. Thanks for visiting with us today, come back tomorrow for more Glamping Fun! Shirt: Made by me - to be blogged soon! 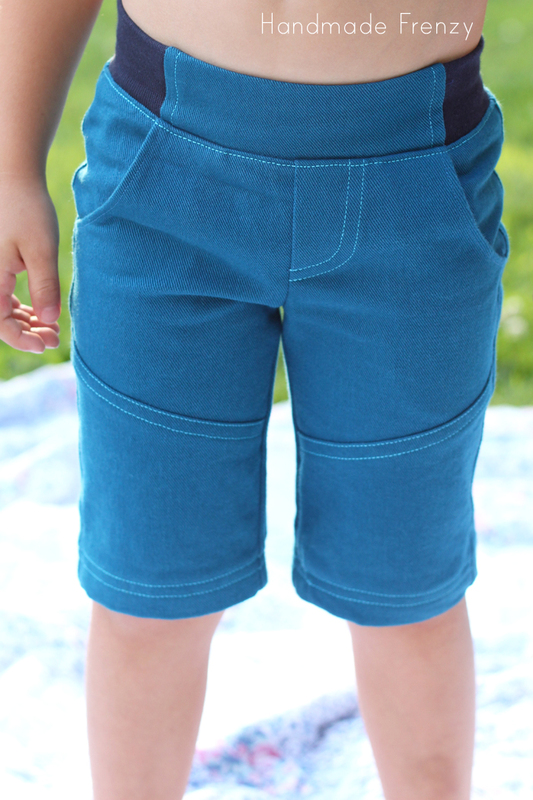 What a great pair of shorts - even for some time :) Love your top stitching! These look awesome! 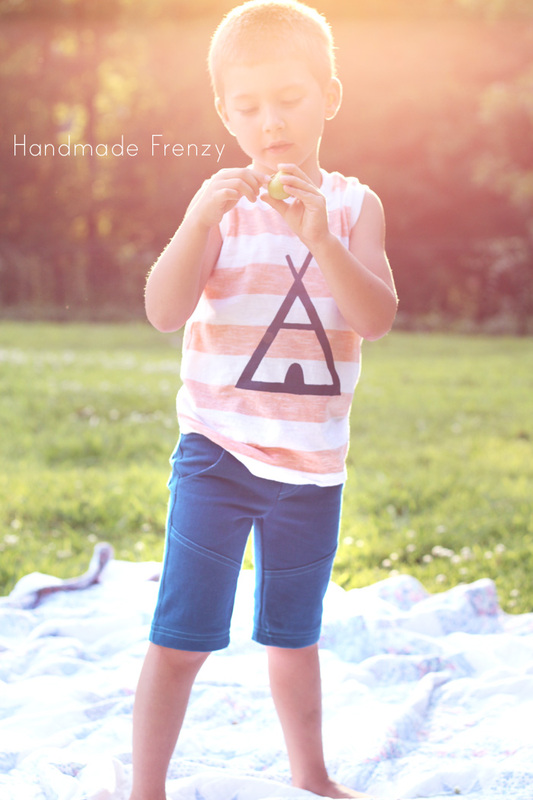 I was a little sad that the glamping collection seemed targeted more for girls (I have 4 boys), but these look so great! I think I'll have to try them out! 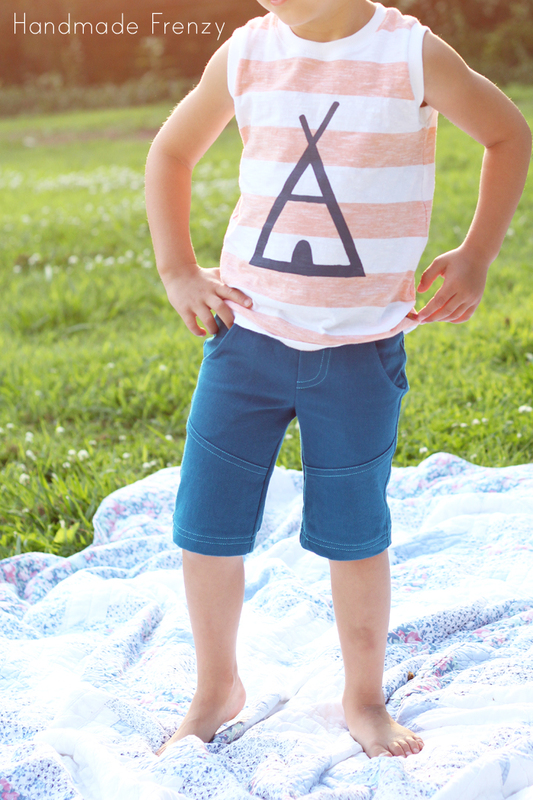 What an awesome pair of shorts! Love them. Totally impressed by the topstitching. Perfection! These are sooooo good, Heidi! Just perfect and I love the color. Sad he won't be able wear them long but think they will look adorable on O when she is bigger! Thank you April!! I'm pretty much obsessed with all shades of this color lately :) Yes, O will definitely be wearing them! Thankfully the color works well for both of them! So so awesome. Looks AMAZING!! And a topstitching needle? Please tell me more! I'm so happy you like them!!! I can't believe you've never tried a topstitching needle???!!! Shows how much I know, I just grabbed it on a whim one time, thinking "I probably need this" LOL. It's right there on the wall with all the other needles at Joann :) It has a larger hole for thread, I actually tried topstitching these first with a regular needle and the thread got all bunchy and crazy and then I switched to the topstitching needle and voila! Perfect stitches!!! Amazing shorts! 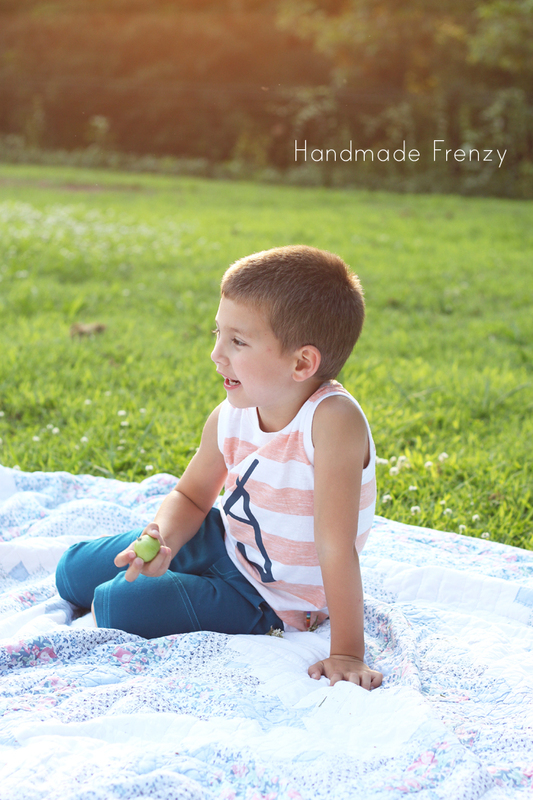 Your stitching looks perfect! And that top is just too cool. Great job! These are great! I just used a topstitching needle for the first time on O's jeans and it was awesome! Too bad about the fit :( at least he has a little sister to pass them down to right?